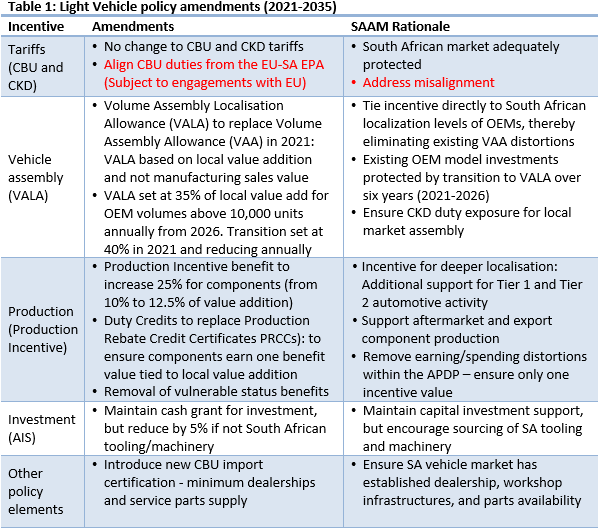 The SA Automotive Masterplan (SAAM) has set out several objectives, including having more locally-built cars and doubling employment in the sector by 2035. Minister of Trade and Industry, Rob Davies, said: "To support the realisation of the SAAM vision and associated objectives, several major policy amendments for the period post-2020, which is when the APDP’s present support framework concludes, will be made. "These amendments are summarised in the following tables (posted in this article), covering light vehicles, medium and heavy commercial vehicles and motorcycles. 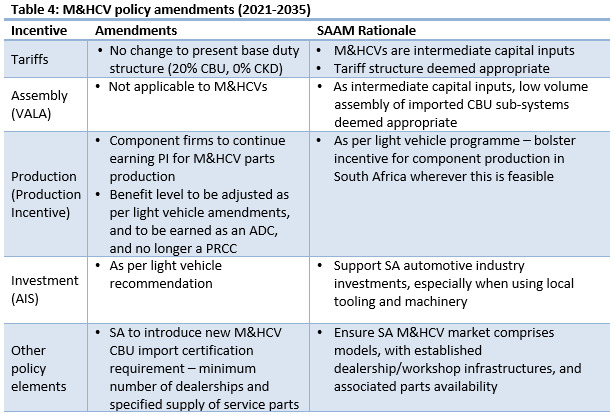 "The light vehicle and M&HCV policy changes are intended to correct identified distortions within the APDP policy framework for the period 2021 to 2035, rather than fundamentally changing a well understood and respected policy that has been largely successful in supporting the development of the South African automotive industry since 2013." Davies said: "The motorcycle policy support proposed is deliberately conservative. In recognition of South Africa's small motorcycle market, and the opportunity for motorcycle assembly to take place in neighbouring economies, APDP benefits are only extended to motorcycle component production, with assembly to be offered to South Africa’s regional trading partners as part of establishing regional value chain." Davies said: "The key focal point of the amendments is to ensure APDP benefits earned are correlated with industry localisation levels, and hence industry employment aggregates." 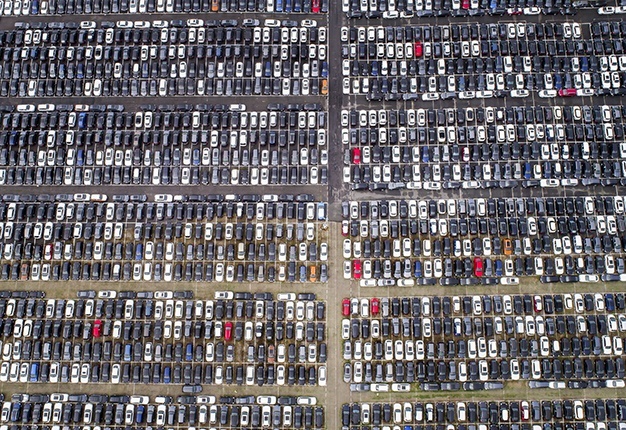 The major amendment that responds directly to this concern is the replacement of the Volume Assembly Allowance (VAA) with a Volume Assembly Localisation Allowance (VALA), which will be implemented on a phased basis over the period 2021 to 2026 to protect existing OEM model investments in South Africa. "By increasing the PI benefit level to 12.5% of value addition within qualifying non-OE component manufacturing (from 10%), the recommendations are also intended to ensure the components industry remains adequately incentivised to grow outside of domestic OEM supply. "More subtle recommendations include remedying the differential earning of the PI, as well as differential spending values. In doing so, the intention is to moderate the excessive and distorted liberalisation of the South African automotive market. "Finally, while not a direct APDP policy element, government recognises the importance of aligning CBU import duties on vehicles emanating from the EU under the EU-SA Economic Partnership Agreement (EPA) into South Africa. This aspect of the EPA has a potentially major negative impact on the future of the South African automotive industry, and as such on the effectiveness of the APDP post-2020. He said: "As the SAAM 2035 vision and objectives reveal, the prize for the South African automotive industry, inclusive of all major stakeholders (firms, unions, government, and broader civil society) is of great potential value, hence its central importance to the future of the South African automotive industry." I'm a 40 year old woman looking to meet men between the ages of 33 and 100.